Collaborators | Food Consulting S.C.
She is a frequent collaborator at Food Consulting. 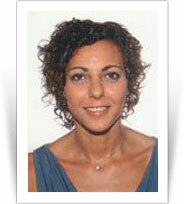 She was the Head of Exports for one of Andalusia’s pioneer companies in the gourmet olive oil segment. Her professional versatility has led to her actively participate with A Taste of Spain on projects focused on the international gastromomic traveller, and in recent years she has been highly involved in consultancy projects with Food Consulting. Bilingual in Spanish and English, Nines also has many years of experience in the field of translation. He is the team’s wine expert, a very active Food Consulting collaborator, especially as regards Vinorum, the Wine Tasting Area of the Alimentaria trade show. He holds a degree in Oenology and is a Technical Agricultural Engineer in Agrarian and Food Industries, and has extensive professional experience in all aspects of wine: production, marketing , training and dissemination. 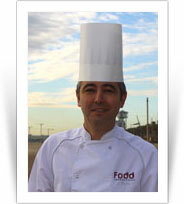 He is a Food Marketing specialist and a recognised expert in the Ibérico Ham sector (jamón ibérico). For several years he headed up the Real Ibérico Consortium dedicated to the international marketing of the product, maintaining close contact with the press and specialised media. Miguel has lived in Australia and the USA, and during the 1990′s he held prominent positions in the Marketing Departments of multinational companies such as Mars and Kellogg’s. 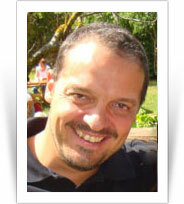 He has been a partner at A Taste of Spain for several years, where he is responsible for marketing. 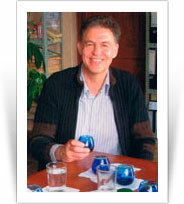 He is a specialist in the international promotion of olive oil. As a consultant for promotion and marketing he has worked for the European Union, as well as for other bodies and consulting firms both in Spain and abroad. As expert in Spanish olive oil, he has given seminars, workshops and tastings in more than thirty countries in Europe, South America, the Middle East, the Far East and Australia in collaboration with the major institutions involved in the international promotion of olive oil. He has also participated in radio and television programmes, and is a contributor to different publications, magazines and web pages in several countries. Cristina holds a degree in Business Studies and Marketing, and for fifteen years her career has been centred on business management for Spanish gourmet products, both in Spain and for overseas markets. She is a founding member and head of exports at Foods and Drinks from Spain, a family company dedicated to the export and promotion of Spanish gourmet products. She has important experience in the development and marketing of gastronomic specialties combined with a good understanding and knowledge of the specialty food segment of international markets. 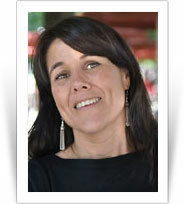 Cristina collaborates with Food Consulting on specific projects. He holds a degree in industrial engineering which has been complemented by his career path, thus creating a versatile profile ideal for organisation and management tasks. 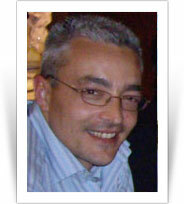 He has worked as a process consultant for Deloitte y Ferrovial, developing projects both in Spain and abroad. His entrepreneurship also led him to become one of Food and Drinks from Spain’s founding members, where he is the head of purchasing. 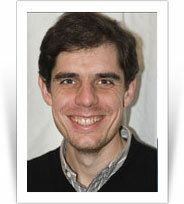 Xabier collaborates with Food Consulting on specific projects. 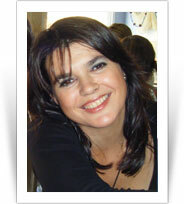 She is qualified in commerce and marketing, and is fluent in several languages. She has solid experience as an export manager for a Spanish company and her profile is particularly suited to business, organisation and management tasks. She collaborates very actively with Food Consulting on activities for the Taste&Flavours project at the Alimentaria trade fair.